Science-based evidence has found that a low FODMAP diet can help with the symptoms of IBS. The great news is that following a low FODMAP diet isn’t a lifetime change. 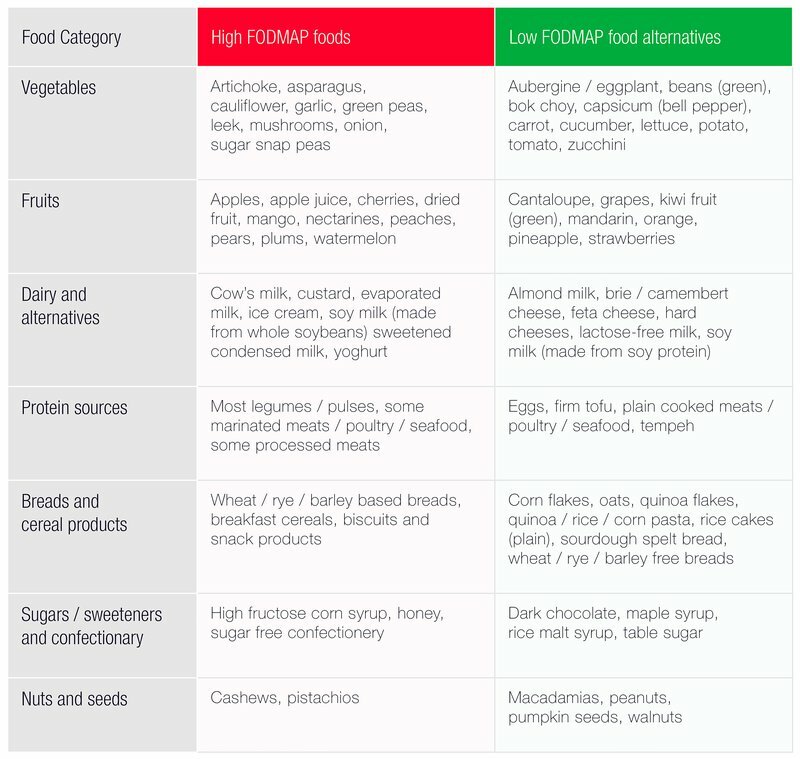 It is about monitoring your tolerance to FODMAP-rich foods and finding a diet that suits you and your symptoms. Once you’re diagnosed with IBS, for optimal results, a dietitian can help you through a 3-step plan. Our research has found that around 3 in 4 people will feel better after a low FODMAP diet. Once symptoms improve and you feel better this is the time to commence Step 2 - FODMAP Reintroduction. The reintroduction step helps you work out your tolerance to individual FODMAPs and eventually a combination of FODMAPs. For optimal results, a dietitian can help you work out the type and quantity of foods to reintroduce and monitor your progress. After reintroducing certain foods back into your diet, you'll continue to monitor their effect on your symptoms and how the foods make you feel. Although individual FODMAP tolerance varies, most people find that they don't have to be so strict about their FODMAP intake as they were during Step 1. This means you can be flexible with your diet while keeping your symptoms under control. 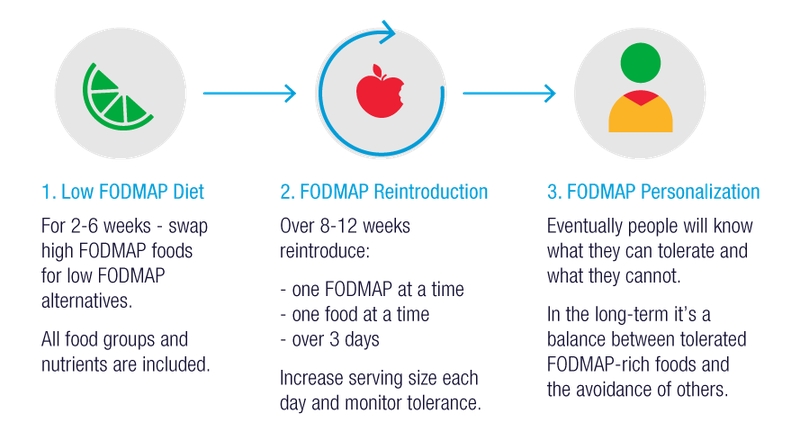 The goal is to achieve a balance between the avoidance of some high FODMAP foods and the reintroduction of better tolerated FODMAP-rich foods. In most cases, people are able to reintroduce many high FODMAP foods back into their diet, but may not be able to eat them as often or in the same quantity as they did before. There is no one-size-fits all that's why a FODMAP Personalization diet holds the key to getting on with your life!